It was another weekend and so it's time for another 'tour' .... This time we decided to called it "Tour de BBQ Chicken Wings" as that's what we gonna have after the run at ECP Lagoon...... A total of 8 Freaks joined the run and for the 1st time, bro Nasser and sis Eliyah joined us. Sis Eli had just recovered from stress fracture and so she was taking the run slow and easy. And it was great to have bro Nasser with us who have always been sharing tips with us. 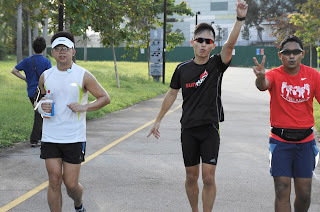 We began at a comfortable pace starting from MacDonalds and run towards Fort Road, and make our way back to ECP Food Center located at ECP Lagoon. 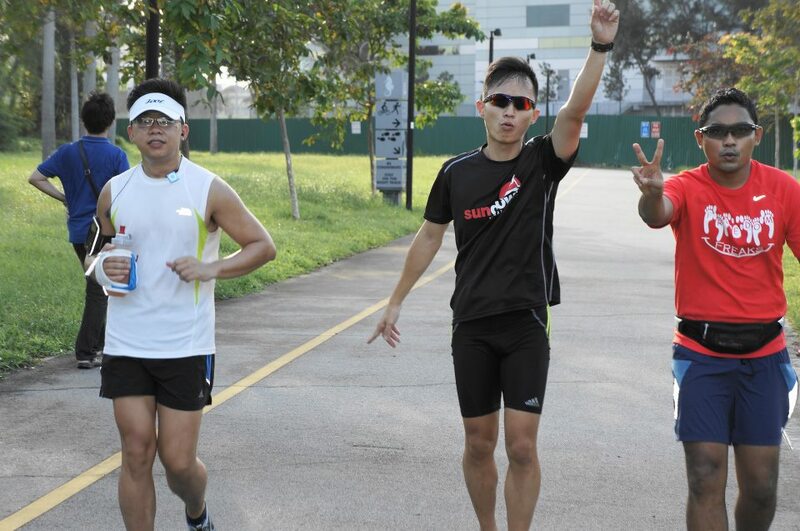 The weather was awesome and it really helped some of us to run without the need of hydration supply. 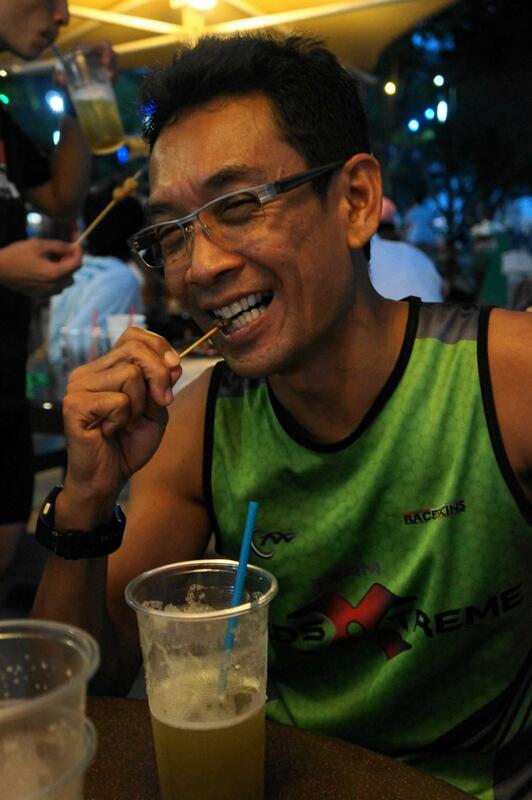 Total distance covered was 11km, and we were all looking forward for the awesome bbq chicken wings after the run. We were joined bro Sam and his family while we were enjoying our food. It felt great to have an experience runner who like to share his knowledge with us. Fyi, he's an 'Ultraman'so having him around is a wonderful thing. Slow and easy sis and yet she managed to cover 11 clicks. Salute !! Sis Eli is training for the aviva 70.3. All the best to you. ATTACK!!!! The awesome chicken wings that we've been craving for !!! The prize upon the completion of the tour..
Stay tune for our next 'tour'. 'Tour de terry fox' this coming weekend perhaps?